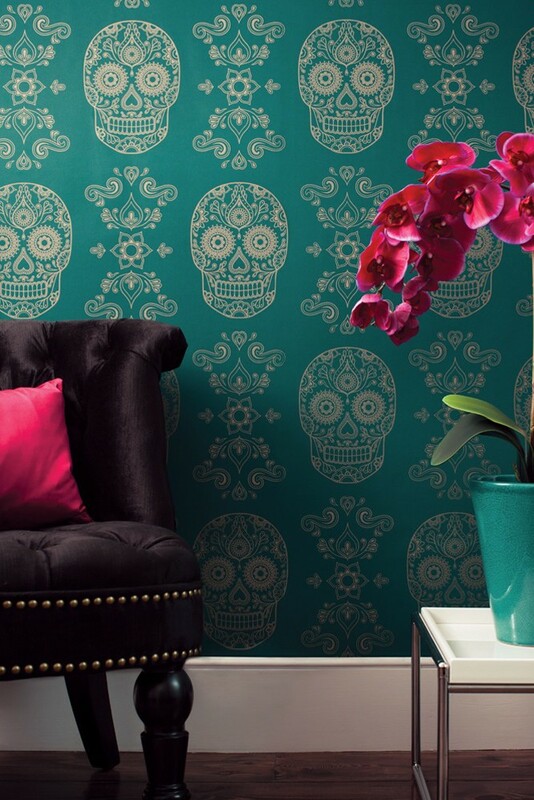 In this unique wallpaper is designed by Anatomy Boutique. 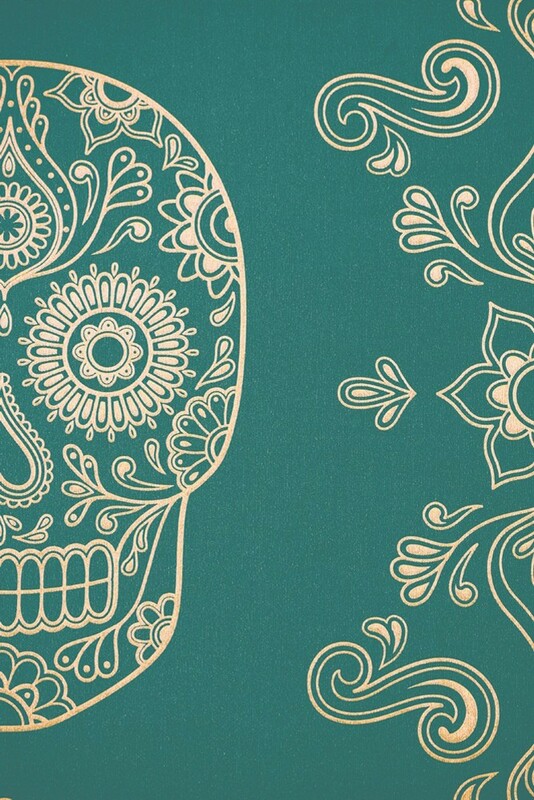 The intricately illustrated skull has been given a sophisticated twist by replicating it in gold on emerald making it a luxurious addition to any interior. Although we have tried our best to give the most accurate photographic representation of the wallpaper, we urge you to buy a sample to ensure you know what you are purchasing.